Dismantling oil and gas installations involves using many similar technologies to those we use in nuclear. In the past we’ve benefitted from developments in underwater Remotely Operated Vehicles (ROVs) which have been vital in helping decommission legacy ponds across our estate. So… I’m sure that closer collaboration with the industry can pay dividends in tackling other decommissioning challenges. After all, we are all working towards the same goal - cleaning up redundant facilities, taking them apart as safely and as cost-effectively as possible. At the NDA, we are looking outside our estate at technologies used in the oil and gas sector – as well as other sectors – to consider whether or not these could be used at any of our 17 nuclear sites, either directly or with modifications. It makes sense to be open-minded about innovation wherever it comes from. Equally, we are happy to share our own experience, which has the potential to be of value elsewhere. Increased collaboration helps to strengthen and diversify our supply chain, which is valuable in supporting the UK economy. 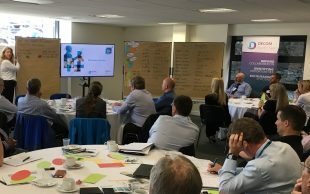 An event to share learning between the two sectors was held at the Oil and Gas Technology Centre in Aberdeen. The centre opened in February and aims to inspire, accelerate and fund technology innovation – an aim that reflects our own R&D principles with respect to decommissioning. The event itself focused on pipeline characterisation and decommissioning and looked at the synergies between our respective sectors. The topic for the event came from the Decommissioning Working Group, a technical sub-group established by our Nuclear Waste and Decommissioning Research Forum (NWDRF). This sub-group has been looked at the technical challenges that we face in decommissioning our sites. Decommissioning pipelines has been identified as a common issue across our industry. We have many pipelines… underground and above ground…Some are radioactively contaminated, others less so, but all of them need to be assessed, potentially cleaned and if appropriate removed. There were a range of supply chain companies present, plus representatives from the NDA estate, EDF Energy, the oil and gas operators, Decom North Sea and environmental regulators. The Oil and Gas Technology Centre facilitated the event and did a great job in balancing presentations with time for discussions. The event covered a diverse range of subjects - from the early history of the pipelines, through to determining the best approach and technologies to cut and lift pipelines. Everyone I spoke to felt it was a really valuable, informative day with many potential projects worth exploring further. The Decommissioning Working Group is already thinking about its next event and is actively looking for innovations from other sectors. 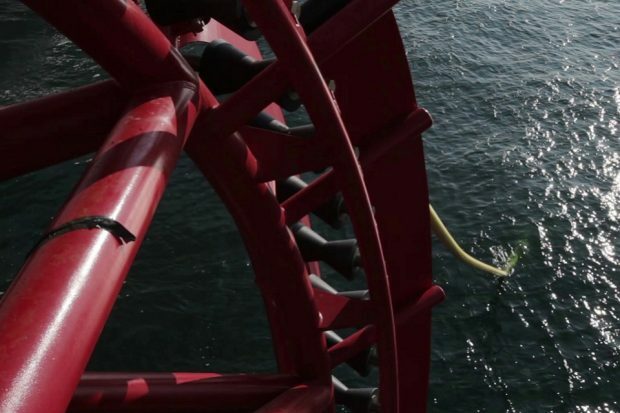 Do you have innovative ideas for decommissioning pipelines? If you are interested in finding out more about opportunities in the UK nuclear decommissioning sector, come to our supply chain event in Manchester on 2 November 2017.